During today’s press conference at the North American International Auto Show, Verizon announced Verizon Vehicle, a connected car service which will allow over 9,000 models of cars to become smart in the blink of an eye. Expected to launch in Q2 of 2015, Verizon Vehicle offers drivers a few great perks, some of which may even save lives when deployed. 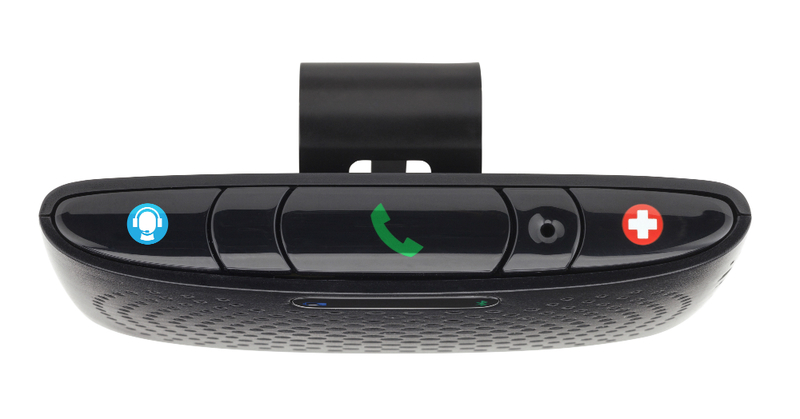 Verizon Vehicle comes standard with a One-Button SOS Assistance system, which allows drivers who are in an emergency to be immediately connected to a live agent. However, an automatic SOS system will also detect if you have been in an accident, dispatching emergency personnel to your location in the event you can not reach the SOS button. While the safety features are crucial, Verizon offers much more than help after you have already been in an accident. Verizon Vehicle offers preventative help as well, including a real-time Mechanic’s Hotline, Auto Health System with Predictive Diagnostics, and Maintenance Alerts. So, not only is Verizon looking out for you after the fact, but it also trying to help you avoid the accidents in the first place. As stated, expect this little box to go on sale in Q2 of this year, but pre-orders are already available. Pricing starts at $14.99 a month and $12.99 a month for each additional vehicle. That’s not too bad, right? BASKING RIDGE, N.J. and DETROIT — Today at the North American International Auto Show in Detroit, Verizon announced Verizon Vehicle, a powerful new connected-vehicle service available directly to consumers in the U.S., which aims to modernize traditional roadside assistance offerings – while enhancing driver safety, convenience and savings. Verizon Vehicle, expected to make its commercial debut in the second quarter of 2015, delivers the next generation of vehicle information technology and service. With the introduction of Verizon Vehicle, drivers will have diagnostic technology at the tip of their fingers, live assistance at the press of a button and pinpoint roadside assistance with GPS accuracy in times of need. The service also connects drivers with live A.S.E. Certified Mechanics to diagnose potential problems and offer solutions. Erik Goldman, president of Verizon Telematics, explains that today there are more than 200 million vehicles without connected capabilities in the U.S. that could benefit from this new service. “As one of the largest communications companies in the world, we are dedicated to providing consumers with innovative technology solutions that connect people, solve challenges and inspire change. Verizon Vehicle is a unique and truly holistic aftermarket solution available to over 200 million vehicles on the road today. It affords millions of drivers the power of knowing when things aren’t working well, potentially before a breakdown occurs — fostering a safer, smarter and more economical way to drive and maintain a vehicle,” said Goldman. Compatible with nearly every vehicle made and sold in the U.S. since 1996 — more than 9,000 makes and models — Verizon Vehicle will launch as a subscription-based service available to drivers regardless of the wireless service provider they use for their mobile devices. Members also receive discounts on travel including hotels and auto services. Auto Health System with Predictive Diagnostics translates most “Check Engine” light occurrences into real terms, including the description and severity of the matter, the probable solutions for the problem — and the appropriate cost for the repairs. The system is also designed to provide early warnings relating to some vehicle functions, even before a warning light comes on, to help keep you off the side of the road. Travel & Repair Savings — Verizon Vehicle members will be entitled to substantial discounts on hotels, vehicle rentals, auto maintenance, repairs and related travel expenses.